Osterville Waterfront Estate with Dock. 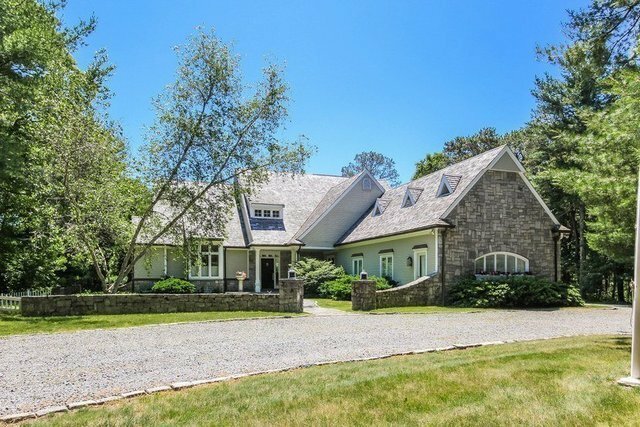 Enter down a long winding driveway to this dramatic Contemporary Cape on four acres of waterfront privacy. The spectacular view is unusual as you see only natures beautiful creation while the southern exposure affords natural light and continuous breezes. Highlights include a spacious living room with a floor to ceiling fireplace and a massive picture window for maximized views, a gorgeous kitchen with soapstone counters, butler's pantry and charming breakfast room, and a first floor master with en-suite bath. Gleaming hardwood and marble floors, three car garage, alarm and irrigation. Private registered dock plus 13' Whaler on mooring included in sale! Minutes to the village shopping, restaurants and beaches. A spectacular property!